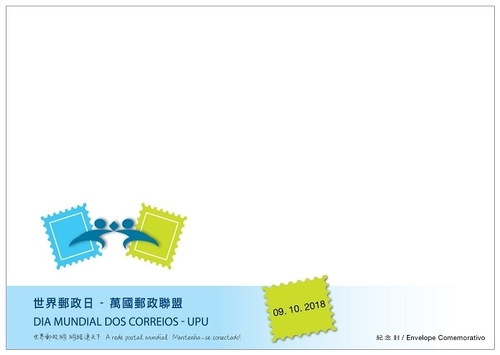 Respond to the Universal Postal Union for the celebration of the World Post Day, the Postal Administration achieves various activities relative to this event. 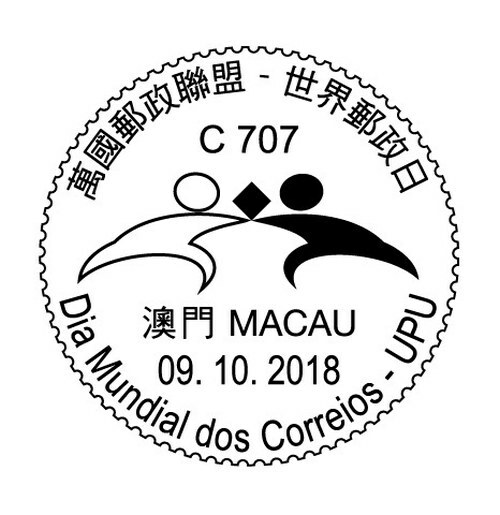 Macao Post and Telecommunications Bureau announces that a Temporary Post Counter will be set up at our Philatelic Shop of General Post Office and the Communications Museum on 9th October 2018, from 9:00 to 17:30 providing the commemorative postmark cancellation service for the “World Post Day – UPU”. The commemorative envelope will be distributed to the public, and various philatelic products will also be available for sale during the above activity.